Ahsoka Tano, raised as a Jedi, grown through the flames of the Clone Wars, tactical, cunning and ferocious. Surely the book based on such a character would be nothing less than amazing, right? Well… The answer might surprise you. The first, and pretty much the main issue goes with the title, from which we assume that the story’s about the character as a whole, while in reality it spreads over one little portion of her life. It is the same case as with the Legends novel named Revan, where the whole story basically revolved around a single event. A pivotal event for sure, but still, one event nevertheless. The story in this one begins as Ahsoka and Rex are on Mandalore (which is under siege) making the successful attempt to capture Darth Maul, but as the Order 66 is been issued, everything turns. Maul escapes and Ahsoka and Rex are forced to fake their own deaths in order to survive and then take the separate paths towards unknown. The Mandalore portion of the story only serves as a prologue and it leaves much to be desired. Ironically, what follows is far less dynamic and less interesting. The same goes for many other “side stories” that are mentioned but only glanced on briefly. The lack of details and development are the main flaws of this novel and I don’t believe that “Young Adult” label excuses it in that regard. When even the original actor is voicing the character (in the audiobook) and you’re still not convinced you know that something’s not right, or quite couple of things in this case. Basic (and sometimes juvenile) writing style, the poor choice of words in some dialogues, questionable behavior of characters and unconvincing turns of the events just sealed the fact that this one is one of weaker SW novels in terms of quality. On the other hand, it does has it’s moments though. If you wondered how Ahsoka deals with not being a Jedi anymore and how she moves forward, finding a new purpose in life, than this is a book for you. Answers might not be shocking, but they serve the purpose. She goes among civilians, workers and farmers, she names herself Ashla (which is the original name intended for her character, even before it became a word for “the Light Side”. More interesting, however, are the later additions where threat emerges, when the Empire arrives (which has grown too rapidly to be convincing, but still…) where we discover how she obtains and makes her white lightsabers, bumps into Black Sun, and ultimately takes her first steps towards the creation of Rebellion. As the tides of the events turned so did the entire story. Bridging the gap between the events in The Clone Wars and the Rebels series as well as Rogue One, Ahsoka’s story plays out more like a short story actually and it doesn’t cover too much ground. Furthermore, the period in which Ashoka lives underground, as a mechanic among farmers is simply not among most interesting times in her life, and that’s affecting this story whether we like it or not. It is like when you hear about a new story set in the post-apocalyptic wasteland, you immediately jump into conclusion that it would be interesting, having visions for something like “Mad Max”, “Fallout”, “The Road” etc. But sometimes, the wasteland is just a wasteland, dry, decayed and uneventful. Talking about “character pieces” that are enveloped by bigger things, here comes the Catalyst, a prequel novel to a Rogue One movie (and it’s novelization). It is not essential piece in order to watch the movie, but it certainly enhances experience for those who are interested. If the tagline “A path to hell is paved with good intentions.” wasn’t so overused it sure would come in handy to summarize the theme of this book. It begins near the end of the Clone War on a distant planet where Galen and his wife Lyra Erso are working with their colleagues scientists researching energy and kyber crystals. It is during that time when the war ends and the Republic turns into Empire. It reaches to them soon enough, and Galen reunites with his intelligent counterpart, a friend from the past, now the member of the Empire – Orson Krennic. Long story short – it is about manipulations, intrigues, corruption and a race, to hold the “ultimate power in the universe”. This kind of story is what James Luceno excels at, so it’s no wonder that Catalyst was a success. However, it is for selected audience only. It is slow burn, it is complex, and it is quite long for “a backstory”. There is a great amount of detail about Lyra, Jyn’s mother, she’s a complete character and she even can sense the force in the small sort of way. Giving the fact that she passes on her genes and her souvenir, kyber crystal necklace to Jyn, there is definitely a force connection there, even if it’s small one. Has Obitt is a new smuggler character and is just like Galen, one of the victims of Krennic’s oppression and schemes. All characters are greatly complemented by the story and it’s everything this book needed. Well… Almost everything. The emotional impact of the later tragedy regarding the Erso family could’ve very well been established here, but it wasn’t, atleast nearly enough. There are intimate moments with the characters but for some reason the connection with the reader wasn’t what it could’ve been. 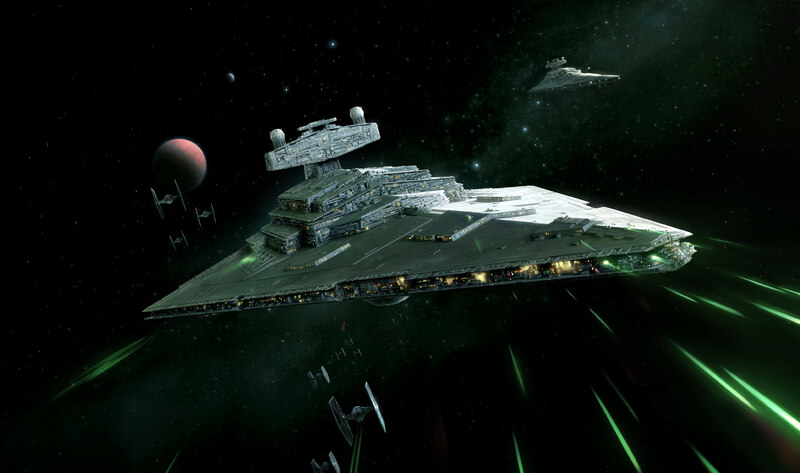 There is a word in the galaxy that the Death Star project started in the Galactic Republic (which stolen the concept from Separatists and started to beat them in their own game). I don’t like that twist personally and don’t find it convincing but that’s what we got. Better insight we got concerning Geonosians and the chaos in which they worked and perished, just as the origins of Death Star’s Superlaser in the form of a project called “Celestial Power”. There is a complete kyber crystal research describing their forms, structure and behavior. New, essential canonical details for every true SW fan. There is Tarkin, greatly involved in the story just as Mas Amedda who has become a central Star Wars character as we follow the stories alongside him, from the prequel era, through the originals era to the sequel era, he’s R2-D2 & C3Po of the other side. For the end, there is Saw Guerrera and it does not take long for him to get in the action in here either. While I’m not up for side stories regarding SW books in general, those here were interesting as they follow atleast one of the main protagonists. We all can agree that the movie desperately needed an opening crawl, that crawl have been The Catalyst novel. Now, the next thing movie needed is more details, character developments and story progression. It could’ve got those things if it were 3 hours long, but it didn’t, and here this novelization comes in. Basically, the principle is the same as with most novelizations; There are 2-3 additional sentences added for each one. Wherever you might think by watching the movie that it could use more explanations, more dialogue or more details, this one has you covered. Even more so than the movie, this book is much more effective if you read The Catalyst. The direct follow up to it’s story is something that is essential for the lore experience of this era. There are a lot of story elements that this book develops and raise to a new level. Bodhi Rook’s reasons, motivations and the origins of his friendship with Galen are told, we are actually told how Galen sneaked the trap with the exhaust port, Mon Mothma’s story is touched on, including her childhood and what led her to the position she is in that time. The deleted scenes that were in the trailers but not in the movie are also here, including dialogues such as “They destroyed our home!”, “I fight the Empire now.”, “The power that we are dealing with here, is immeasurable.” and “If you continue to fight, what will you become?”. This book is kinda strange to review because while it certainly follow events and the scenes from the movie it also changes some things and directly contradicts what we saw on the screen. From clearly different behaviors (like the way Krennic commands DS1 to fire, Jyn initially being angry at looking Galen’s hologram, Jyn not really getting along fairly quickly with the rebels like in the movie. 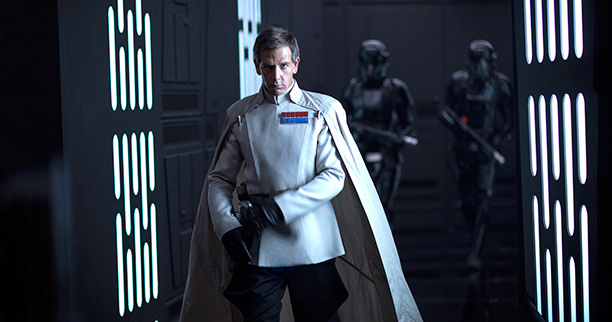 Krennic cursing on all who participated in his demise instead of looking stunningly and somberly while the Death Star shoots at him etc.) to the way the story unfolds as it evokes a different tone to it all. That must have been the consequence of changing the tone of the movie in the reshoots as we know that books are always written earlier. If there is one scene that doesn’t do it justice in words instead of screen, it is infamous “Vader’s red harvest” scene. 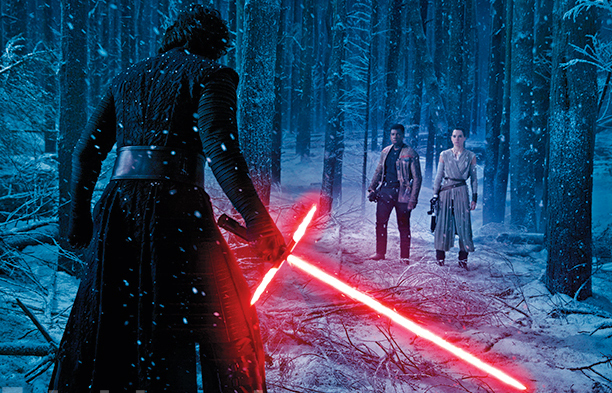 The similar one in the “Lords of the Sith” gave me the chills, but in this case – the movie takes the score after all. On the other hand, if you want the true insight into the “greyness of Rebellion”, moral justifications of characters, detailed background power plays between Tarkin and Krennic, Jyn’s thoughts and rationalizations of events she’s been through, the thoughts of each single character throughout the story to the very moment as they face death – then look no further, this one’s got you covered. Whether you liked Aftemath book or not, Life Debt represents the brand new take. It is the continuation of the story as much as telling of the new one. You could basically read it without the first one, but I would not recommend it. Anyways, Life Debt definitely picks up the pace. Although it is not a complete turn from the first book, it is in some way, definitely different and the involvement of the main Original Trilogy characters makes it stand out much much more from the first one. It not too heavily based on them though, and you’ll still have to follow “companions” from the first one, but luckily, there is much more to them than it seemed from the first time. Not only that the main cast is richer for their origins from the first one, but the plot just got more deeper and heavier, which will prove to be very impactful in the final chapter of the trilogy. It is like an unexpectedly pleasant reunion with friends that you haven’t seen a long time, had some good but also some poor moments with, yet still it’s like forgotten and hanging out with them again feels great. It is like getting to know them properly for a change. Then the next real adventure kicks in, with including the “classic” characters it finally gets the weight it deserved. Finally there are some details about Han and Leia’s relationship post-Jedi. 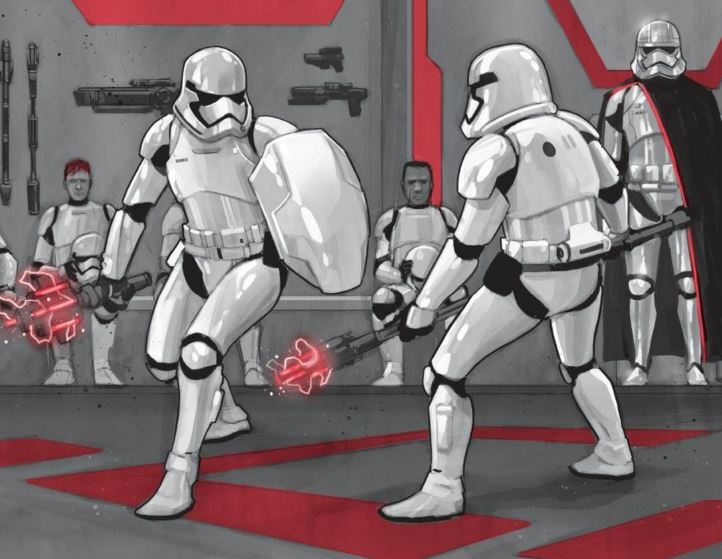 There is reveal about Hux’s origins including the practices later utilized by the First Order. 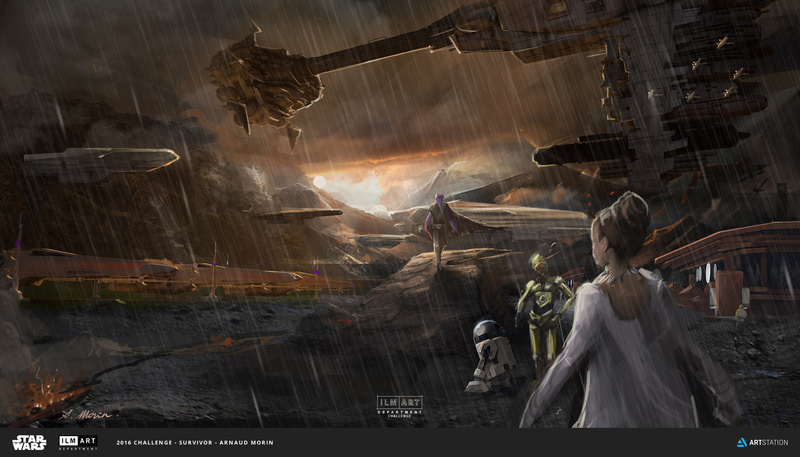 There is investigation in the heart of the Empire leading to the truth about Admiral Rax and the state of the Empire. There is a Shadow Council (which is pretty good nod to a Sith Empire’s Dread Council from the Old Republic era) as well as the entire hidden fleet. There is reveal about Brentin Wexley as well as Temmin’s nickname (Snap). There is a sad fate of Mas Amedda, the first acts of violence from Acolytes of Beyond, the official mention of Palpatine’s SSD – the Eclipse (which only shares the name with the “Legends one”, not the appearance unfortunately). 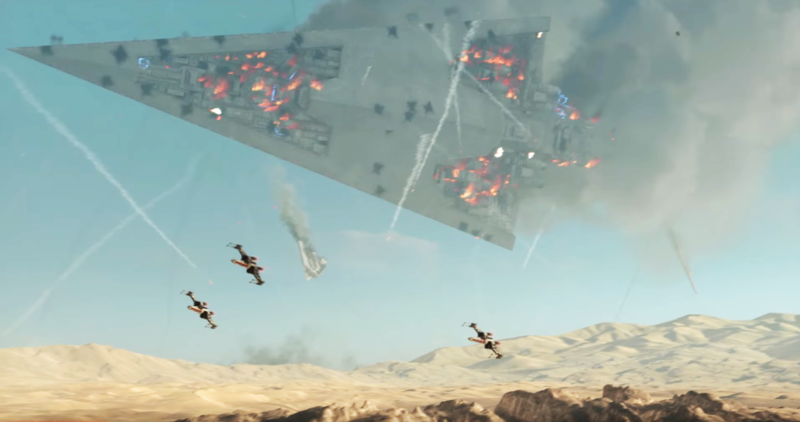 There is finally a canonical Star Destroyer abduction made by Han Solo, and the final grand battle for Kashyyyk making the long awaited Life Debt finally fulfilled. Life Debt is one of the few canon books where “things really started happening”. There are twists, there is real excitement, there are sacrifices, there are meaningful battles, there are events that are impacting the galaxy. Furthermore, there are alot more familiar topics that resonate with casual fans, mimicking iconic moments from the movies. That being said, no wonder this one turned the tides regarding the feedback. Bad thing however is that Life Debt too has been forced to hold back on some story aspects in order to allow the final book of the trilogy, Empire’s End, to take place. (too convenient situation exits) Another bad thing, though it’s subjective, is the lack of focus, as chapters jump from one storyline to another, then from that one to another etc. Ironically, it is the Star Wars way, but still… Some stories are better off for the comics (like the aftermath of Jabba’s demise, as well as Boba Fett reference). Overall, Life Debt really brought Aftermath trilogy back to life [see what I did there?] and while it’s far from a masterpiece, it still is a great book to read with content interesting enough to bring you back into it. A proper comeback. There was quite a controversy about Mon Mothma’s “stupid” decision to demilitarize the Republic while the Empire still lives and licks it’s wounds. However, the light was shed on that topic, telling us how it actually means decentralization of the military, meaning that every system should have a military for itself, in case that any need arise. Talking about independence, there’s a chapter given to Lando as he’s finally returning and retaking the Cloud City from the Empire. One of the book’s greater strenghts are mentions and tie-in’s all over Star Wars history. From Niima (Huttese crime ruler, Niima Outpost name giver), Jar Jar to Dengar and legendary planet of times from the Old Republic – Taris. Niima’s reputation and impact on the story of Jakku is pretty interesting as it spices up the plot by adding itself into the core of the main event. Dengar’s part is very minimal, but there is still some edgy content for the fans of bounty hunters and it’s tied (as it should be) to Jas Emari. 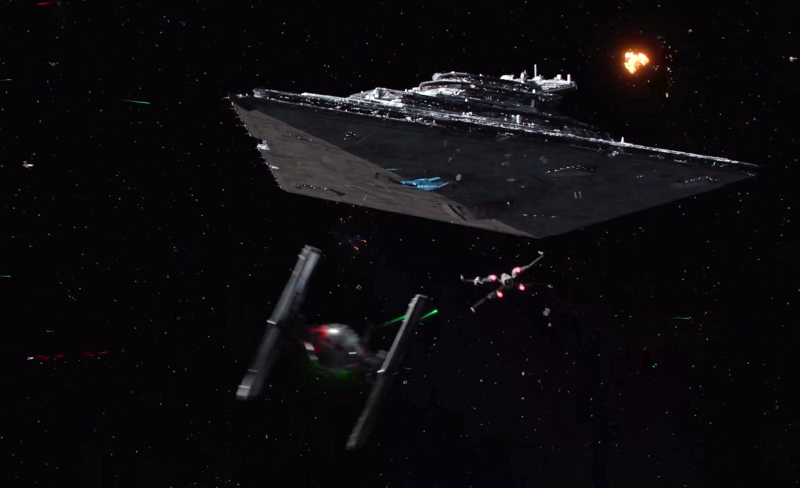 T-70 black X-Wing from Ep.7 shows up in this timeline already, and Wedge wraps up his story with Norra Wexley. Finally, we get to see the events that make a true origin story for the First Order and the Nights of Ren alike. As it began from the “Shattered Empire” comic series so it continues and sheds a light with full detail on the Emperor Palpatine’s plans and is creepy as ever, as he directly continues to influence the events, even beyond death. He is the catalyst for what happens on Jakku, but also for what lies beyond, even when some links in the chain are not what they are set out to be. The Dark Side draws unknowingly, calls from the unknown space, and Acolytes are the first to answer the call. Both directly and indirectly, the desperate and tyrannical edge of the Empire seeks salvation in the dark, using the sinister program of elder Hux which indoctrinates and twists children into merciless killers, laying the foundation for the forces of First Order. Sloane does her part in this also, but she’s only interested in neutral Empire, her Empire. In many reviews and commentaries of this book people are keep praising Sloane because she did some stuff in “good guys favor” and because we got to see the human side of her including some minor redeemable qualities. Make no mistake, she’s still a villain in this story. Perhaps more grey than the others, but nevertheless – a villain. Just like Vader didn’t stopped being a villain when he killed the Emperor and saved Luke. On the other hand, Gallius Rax is a bit of a letdown, as his last chapters in the story are just as that particular part of the book – anticlimactic. However, this book is where Jakku finally separates from Tatooine and really feels like another planet. It’s gone to the point where only the look ties those two together, while the past, the culture, the economy, the architecture, the events, the significance of those events is vastly different. Speaking of significance, it is interesting fact that Ben Solo was born on the very day the Treaty of Galactic Concordance was signed, the day the war officially ended, for good. There is a great character piece of Leia and Han handling the baby and behaving really true to their characters. Unlike Life Debt, this book is much better structured as it’s focus is clear and revolves around one thing. Some characters act exactly how they should, some even surprise with their inner strength, but there are some that are behaving questionably and are ultimately unconvincing. The battles are great when they’re happening, the tension is right throughout the whole book. Character moments are meaningful and memorable. There is also plenty of impactful and significant moments influencing the entire Galaxy Far Far Away and because of that, while it’s not a masterpiece, it is still a very good book and an absolute must read for fans and completionists alike. Combined with Empire’s End, Bloodline is the backstory to the Force Awakens you always wanted to see, and just as well could’ve been Episodes 7 and 8 (if the OT cast were younger off course). With the New Republic inside there is no insight into the state of the galaxy without a heavy emphasis on politics. Luckily, this one was written in very engaging way with human feelings, character pieces, relevant plots, deceits, sacrifices, moral struggles and detective work that never gets out of steam. Waiting for the political thriller ever since the Phantom Menace timeline? Well, scrap that mediocre stuff and brace for the real thing. Nevertheless, the book starts from a pretty simple, human perspective. It explains what happened past few years, it introduces characters in their private situations and moments, it dwells on their thoughts and moves, it allows story to develop more natural and only then it starts developing into something more complex and multi-layered. In the beginning, being fed up with politics and “professional bickering”, Leia herself thinks about quitting for good. It is that point from which we’re getting invested back into it, just as the character is, as it feels the importance of the impact it can, and should make further in the story. That’s only one example of brilliance from Claudia’s writings, she takes seemingly unappealing theme and makes it appealing in pretty much all the ways possible. She knows when to exactly back off the main topic and when to spice it up. Before you get the chance to yearn for something concrete, the incident happens and story kicks off in the new direction. The “interesting” thing about politics is that aspect of reality, where words become real and consequences happen that affects everybody. That is what brings Leia back into the fold and why she simply can’t quit. Her personal life is intertwined with the professional one, and one affects the other ever since her childhood on Alderaan. Then there is her counterpart, the political rival she’s kinda forced to work with from the opposing half of the Senate, named Ransolm Casterfo. What separates Claudia Gray from some other authors the most is visible in the character of Ransolm, who has very complex character and has a past with very contradicting elements to his beliefs, but what others would very easily turn into dismissive, ignorant and laughable storytelling, Claudia turns into flawed, human, believable story element that in the end, only enriches and provides depth to the overall story. In Bloodline, not everything is black and white, there are very convincing discussions and arguments that even achieve to convey why is Republic worse and why the Empire is better in certain ways. It brings us to the level of discussions we have here and now, especially in between countries that were recently in war with each other. But then again, it is Star Wars and some things still are black and white, which brings us to the First Order, and here we get to feel how it lingers in the shadows. For a very long time, they have been doing their homework and “preparing” this galaxy for their arrival, and here we see exactly how they managed it. As far as antagonists go, the main one for me is the centrist senator Carise Sindian who is pretty much a despicable, two-faced snob with sweet words and look on the front and a sharp bloody knife on the back. She is doing her part well, as I loved to hate her by the end of the story, and even when Leia ultimately put her down and ruined her career in a single move I still thought more justice could have been dealt, resulting in the demise of the character. Then again, this particular kind of ending has gave a totally sour, and kinda realistic tone to the story, making it more tragic. When Leia starts The Resistance, it is for a damn good reason, and has much more to it than just to oppose the threat of the First Order. Bloodline is definitely an essential canon material and one of the best books so far, but it’s not perfect. There are flaws that can be found here and there but nothing that would compromise the experience… Well, actually, there is a major security issue regarding the catalyst to the course of the story but making it proper with the details would brake the pace of the story and take it into the realm of the Sci-Fi, while Star Wars has always been space fantasy. It is a solid story that would mostly appeal to the Clone Wars fans as it is basically more bitter version of Clone Trooper tales. These guys also have unique personalities and nicknames despite being only numbers in the military roster, there is much room for discussions about the theme and it’s somewhat inspiring but mostly to the beginning of the movie. 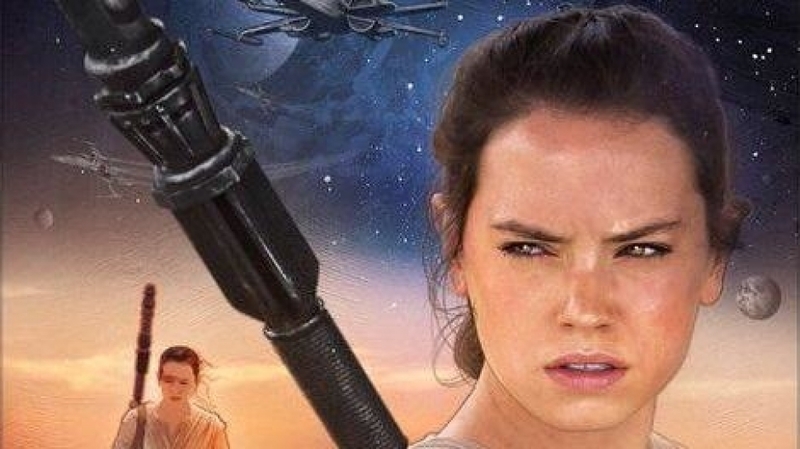 Rey’s story begins as one would guess, on Jakku, and her past is no more revealed than in the movie. However, the story is interesting enough to distract from the issue, assuming you’re interested to see how she’s living on her own in the middle of desert. The fallen AT-AT is her home, but she leaves every day in search for treasures if only to survive. One day, it seems she’s hit the jackpot, finding a freighter ship sleeping under the sand, damaged but not too much. A day or two of repairs and it’s good to go! It even has food and medical supplies inside aswell… But when something seems too god to be true, it mostly is. Others have noticed it too, and it becomes dangerous and tricky, very fast. Rey experiences most basic emotions like smile for the first time. She knows to survive better than to talk simple to another being, and ultimately, she learns the lessons of friendship, selfishness, trust, care and betrayal. Again, she returns to AT-AT, kicks off the flight simulator and battle among the stars. Rey’s story is all about discovery, and that is just what I expected from it. We discover traditions and stories of Jakku, we discover some of it’s cultures, we discover the way of life on the Jakku just like Rey discovers life itself. It is the best kind of story to read if you want to start from scratch. 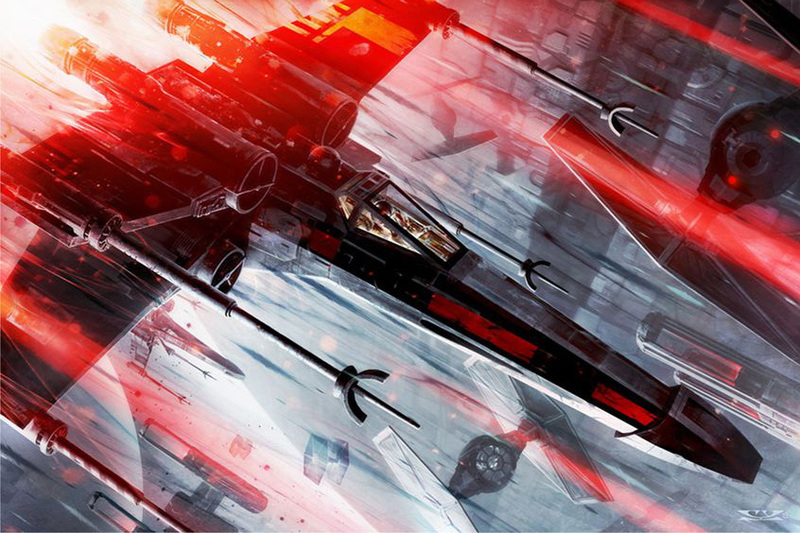 Poe’s story begins with his memories of deciding to be a starfighter pilot, it’s a natural decision as he spent his childhood flying with his mother, a rebel veteran fighter, in her A-Wing. He is currently a pilot for the New Republic, and receives distress call while on the mission that leads him to the trails left by the First Order. The New Republic forbids him to investigate or engage the Order in any way, then of course, he does it on his own which results in the very first contact and the conflict with the First Order in a frantic battle of life and death between X-Wing fighters and the newest line of Star Destroyers and Tie Fighters. 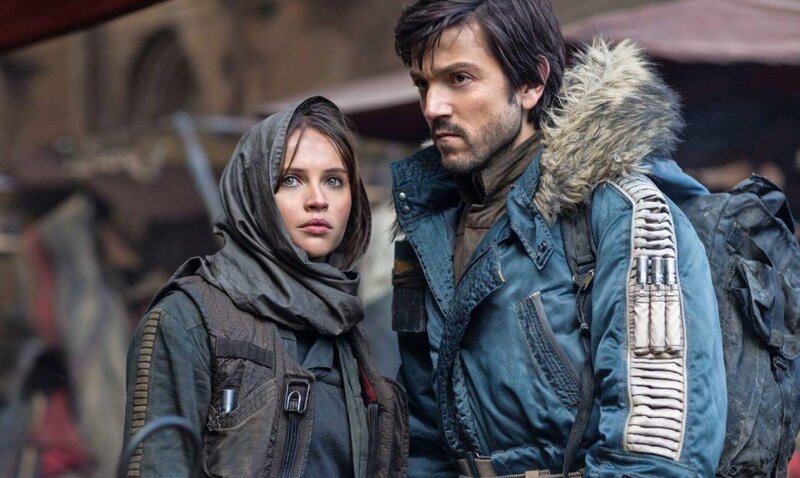 Regardless of the results, Poe has been grounded but then, suddenly gets freed and sent to the meeting with Leia Organa, the General of the new organization called Resistance. 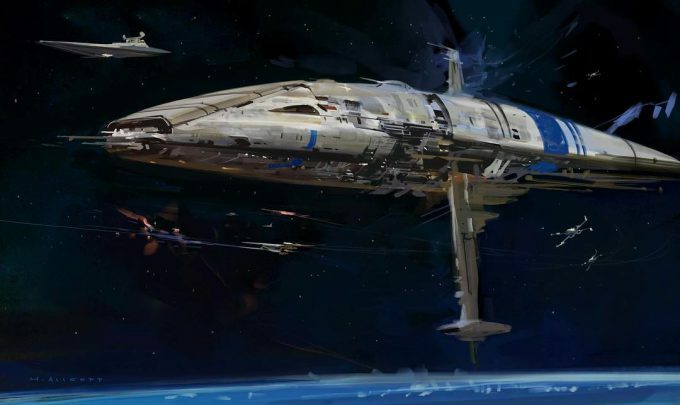 His mission got boost and was continued in the form of Operation: Sabre Strike with the objective to attack and steal the personal Yacht of the corrupted Republic senator who is working with the First Order. Despite many troubles the mission is successful but it brings bad news since it is confirmed that there are many more traitors to the Republic and the threat of the First Order is much bigger than ever realized. Good news however is what C-3PO managed to recover from the Yacht ship computer, a piece of puzzle for Leia to bring her closer to finding Luke Skywalker. With this information Leia sends Poe on Jakku, to meet Lor San Tekka, the man who can help them find Luke. Poe’s story is the one about justice, responsibility, courage and sacrifice. His actions and decisions have serious consequences but consider the bigger picture. Team members in this story are more convincing than those in Finn’s story. Poe’s way to been a Resistance pilot is interesting, it plays to the big picture heavily and off all 3, it is the most pivotal story to read heading into the story of The Force Awakens. Leia’s introduction here is arguably the single best that there is. Her charisma and character shines through every scene she’s in, and influences Poe greatly. All in all, those three stories are just what people wanted from our three protagonists of the film. 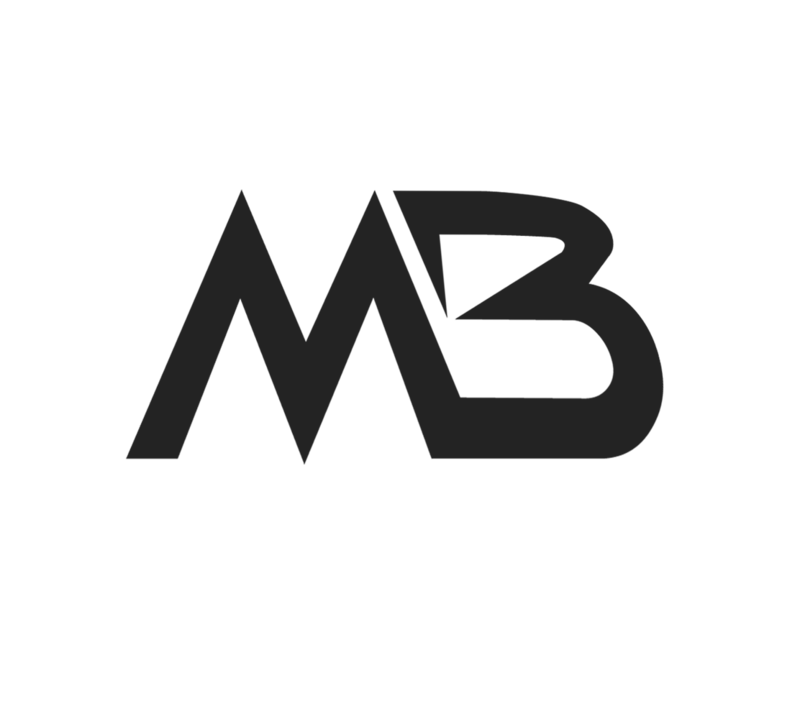 It’s nothing groundbreaking, but it also isn’t forgettable just like that. You’ll read this wanting to know more about certain characters, and you’ll get just that. The only faults I could say are the release date which was too late (on the movie theater release) and possible lack of depth and details concerning main characters and their origins which, again, is acceptable given the fact that those are only short stories. In conclusion, Before the Awakening is just as essential as previously mentioned Empire’s End and Bloodline novels, as the backstory into The Force Awakens. It literally ties to the film directly. Remember that attractive and wicked looking imp… umm, First Order spy in Maz’s cantina? Oh yeah, she’s got a book too! The Perfect Weapon is a short story telling the tale of Bazine Netal, a spy, a mercenary, a smuggler, a bounty hunter – all in all, a girl with numerous talents and sharp wits. One of the few brave, or crazy enough to accept a mission from anonymous client, with barely any information for astronomical reward in return. It could be anything, it could be anyone, and that’s what makes this short story interesting. It’s short but bittersweet adventure that evokes “Mission Impossible” style set in SW universe. It’s doing exactly what spin-off short stories should do, enrich the universe while breathing their own life simultaneously within the bigger picture. This is the story unlike any other we’ve seen in SW so far, and is definitely recommended, especially for adult SW fans. There are novelizations that simply tell the screenplay, then there are those like Revenge of the Sith that elevate the story on a new level, provide new perspective and sheds a different light on the whole thing. This one is somewhere in between though leaning more on the first example. Like in a Rogue One novelization the scenes are expanded by details in action, lore, technical jargon and character thoughts (though a bit less than in mentioned). The main addition however is in the scenes that are missing in the movie but tie the events seamlessly. It is revealed how Poe survived the crash and got to the Resistance base eventually, how Chewie defended Rey in front of Unkar Plutt on Takodana, how Finn gave away his jacket to Rey due to the snowspeeder chasing scene on Starkiller base, how Kylo Ten visits abandoned Millennium Falcon and subtly reflects on his time in it, how he reveals his knowing about Rey when she grabs Luke’s lightsaber with a sentence “it is you!”, how Rey finds out about Finn’s health in Resistance base and how she meets Poe there. There are also some cryptic dialogues that may reveal the motivations or even the course of plot in the future, but are mysterious just enough to keep you guessing. What is the Snoke’s role in Luke’s and Leia’s history and how did they knew about him? If he watched Empire rise and fall, who was he? Was there a true bond between Rey and Kylo or did ” Reylo fans” nitpick like crazy just for nothing? Was that ominous voice speaking to kill Kylo of Luke or Snoke? Will Kylo be able to execute First Order’s goal or will the rest of his humanity stand in his way? Why is Kylo so interested in Rey and how he knows about her before their first meeting? Of course, they say that The Last Jedi will go in unexpected directions, but since there are so many theories some of them are bound to be true right? This novelization is the best intro to Episode VIII, as it’s filled with details like mentioned, that are not present in the movie but could very well lead to the way how plot moves forward in the next chapter. You could even predict some stuff if you’re insightful enough. That being said, the Journey to The Last Jedi is on the way, I’m little late but I’ll catch it soon enough. After a long consideration I’ve decided to break the tradition and change the format regarding these Star Wars book reviews. I love making these long articles but since I’m unable to cover it all in one at a reasonable pace lately, I’d rather cover less of them in much more consistent periods of time. Therefore I’ll be writing either individual book reviews or smaller numbers of them per article.